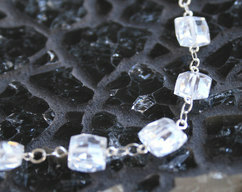 Beautiful Millifiore Beads wire-wrapped to sterling silver chain make for a very long elegant stranded necklace. 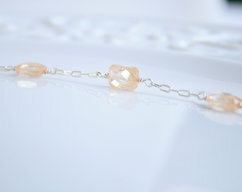 I wanted this one to be very versatile, it can be worn long or doubled up to wear short - or even as a bracelet, wrapped around a few more times. 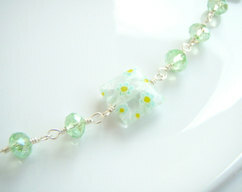 I love the many colors of beads here - it can be worn with anything! 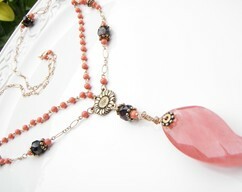 This necklace is 41 inches long, with two tiny red crystals and a lobster clasp giving it a pretty finish.